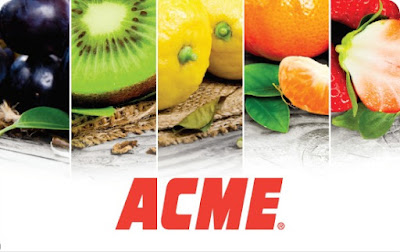 I'm super excited to announce Tinsel & Tine's sponsored association with ACME Markets, as I am an avid ACME Shopper! When I lived in Mount Airy, I frequented both the ACME on Ridge Ave (5927-59 Ridge Ave.Philadelphia, PA 19128) and the ACME on Germantown Ave. (7010 Germantown Ave, Philadelphia, PA 19119). 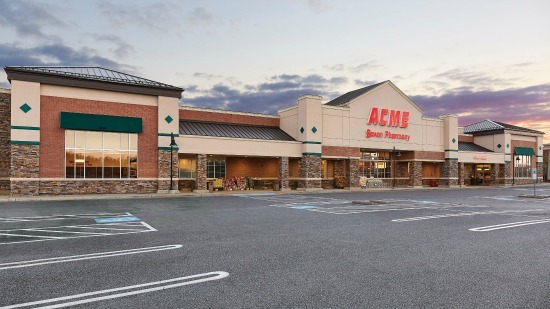 Now that I'm in West Philly, I shop at the ACME on City Ave.(121 East City Avenue Bala Cynwyd, PA 19004) or on occasion, the ACME in South Philly (1400 E Passyunk Ave, Philadelphia, PA 19147). Started a new job this week in NoLib and went to ACME on Girard Ave. (180 W Girard Ave, Philadelphia, PA 19123) to get their fresh baked fried chicken as my offering for an employee potluck. No matter the store location, I'm always really pleased with the selection, freshness, great deals and the bakery! I have to admit, although I've always liked to shop ACME Markets, up until now, I'd only visited in person, never online. Did you know that the website offers a daily delicious and relatively easy to make Recipe of the Day? You can even click on the recipe items you need to buy and add it to your online ACME shopping list which can be viewed on your mobile device with the app. The site also offers Recommended Coupons and a Foodie Tip of the Day. I've also come to learn the face behind the creative recipes and helpful kitchen tips is ACME Executive Chef, Jeff Anderson. Chef Jeff attributes his culinary style to his work at the luxury hotel Rosewood Mansion on Turtle Creek, and his passion for innovation in the kitchen to his experience owning two restaurants. He is passionate about sharing cooking tips and easy recipes, teaching home cooks to create better meals, and helping ACME customers stretch their cooking dollar, which is at the heart of his role. As a father of two, Chef Jeff understands the importance of creating recipes that are not only delicious but also affordable and simple to prepare for today's busy families. 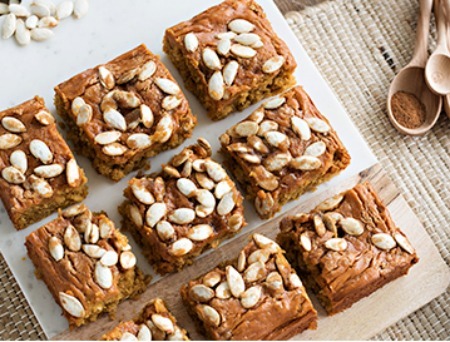 Below are two of Jeff's pumpkin inspired recipes, featuring Lucerne® Dairy Farms products, a trusted dairy brand since 1904, available exclusively at Acme stores. 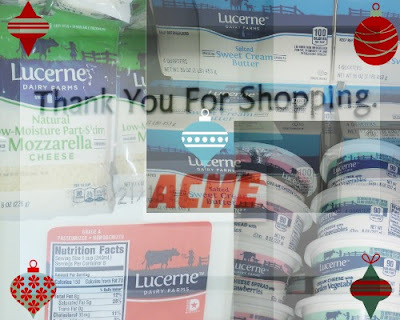 You can find these recipes and more at ACMEmarkets.com/Lucernedairy. TIP: Before you dive into baking this holiday season, Chef Jeff suggests you take inventory of what’s in your pantry, refrigerator and freezer to make sure you have all the essentials. Put extra flour and sugar in the pantry, stock up on an 18 count of Lucerne® Eggs, and store Lucerne® Butter in the freezer so you have it on hand for those last minute parties you’ll be attending or hosting! Post pic(s) or video to one or more social media platforms of you either making, baking, eating etc... either of the below Acme recipes. winner's website will be prominently featured in announcement. An impressive, yummy, yet quick breakfast to serve visiting family and friends over the holidays. Directions: Suggested Cooking Method: Bake Preheat oven to 350 degrees. Create custard, mix egg, milk, sugar, salt and pumpkin spice. Dredge bread in custard. Warm medium to large size skillet over medium heat, brush with butter. Place bread onto skillet, allow custard to set up. Turn toast over and place in oven for 3-4 minutes. Remove French toast from oven and transfer to serving platter. Topping: Prepare topping, in mixing bowl combine cream cheese, pumpkin puree, brown sugar, spices and nutmeg. Whip for 1-2 minutes either by hand or machine. Dollop Pumpkin Spice Cream Cheese on top of the French toast. 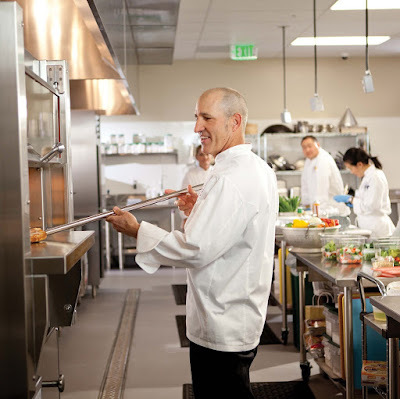 Jeff Anderson:"I especially enjoy helping shoppers create delicious home-cooked meals, during the holiday season. This time of year can become busy for most families, so I make sure to share recipes that are not only affordable but also simple to prepare and made with fresh, quality ingredients to help meals come to life." 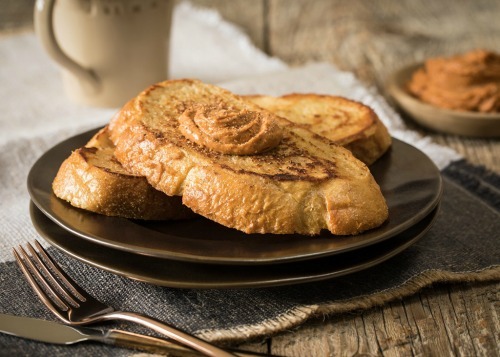 Here's another Chef Anderson Lucerne Dairy inspired French Toast recipe, demonstrated on @AcmeMarkets facebook live! These can be a great snack on the way to Grandma's house. Directions: Preheat oven to 350º. In a large bowl, with a stand or hand mixer, combine butter and 3/4 cup brown sugar. Add 2 eggs and mix. Add pumpkin puree and mix. In a medium mixing bowl, combine oats, flour, baking soda, baking powder and cinnamon. Slowly add dry ingredients into pumpkin mixture. Do not over mix. Pour into a parchment paper lined 9 x 9 baking pan. In a medium mixing bowl, whisk to combine cream cheese, 2 tablespoons brown sugar and 1 egg. Spread on top of pumpkin mixture. In a small bowl spray pepitas with nonstick spray and add 2 tablespoons brown sugar. Spread on top of cream cheese mixture. Bake 35-40 minutes. Let cool. Serve.